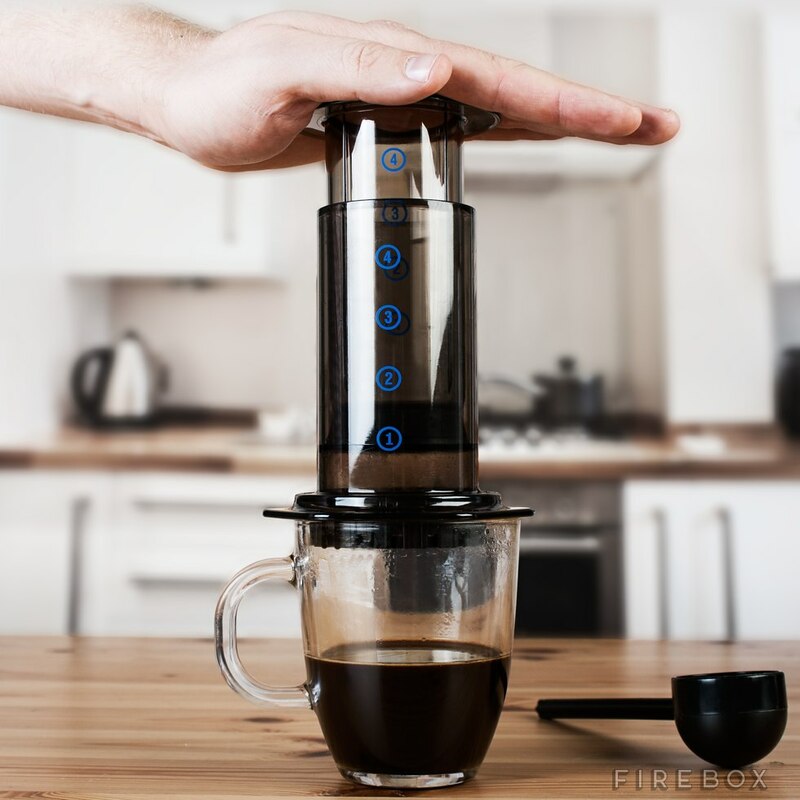 Aeropress is an easy and fast way to brew excellent coffee at home. It's important to use fresh beans, grind the coffee correctly, and have the right temperature of water. Boil 415 ml of water. Insert filter into Aeropress plastic cap. Weigh 15 grams of coffee (1.25 tbps). Grind your coffee to fine grind. Assemble Aeropress and add coffee. Add 30 grams of water onto grounds. Water temperature should be 200F. Let water and coffee sit for 30 seconds. Add another 160 grams of water and let sit for 1 minute. Screw cap onto Aeropress and flip whole assembly over. Place Aeropress on cup and begin applying downward pressure until it brews!